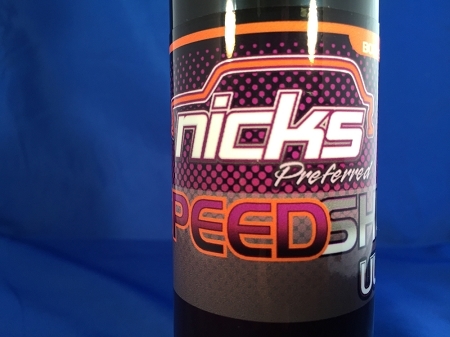 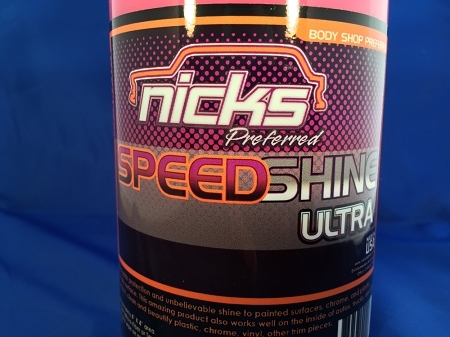 A specially formulated detailer that adds protection and unbelievable shine to painted surfaces, chrome, and plastic. 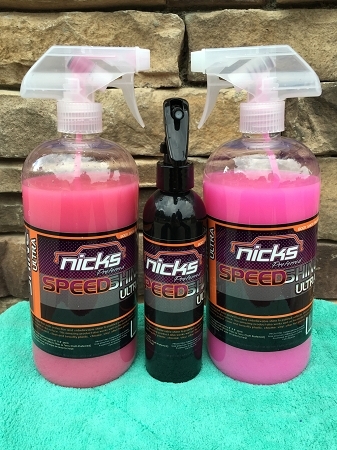 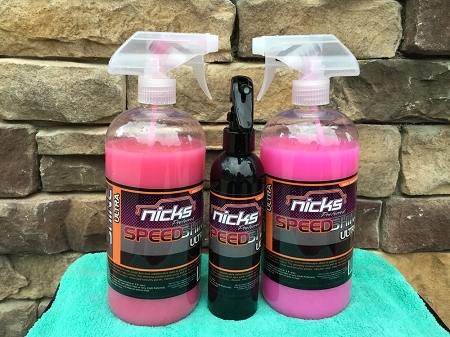 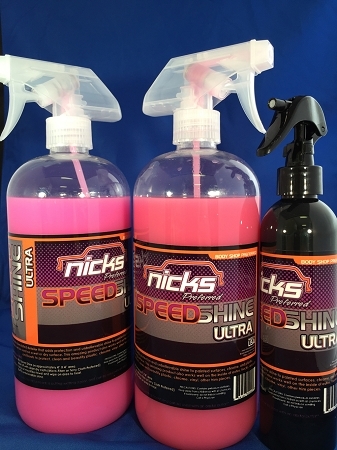 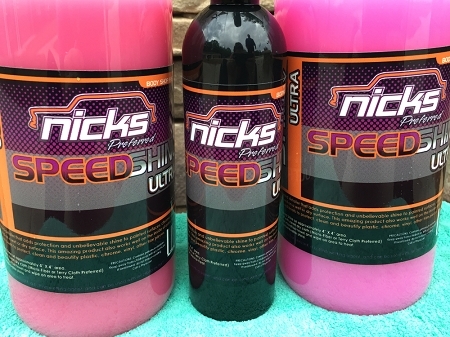 Speed Shine can be used on a wet or dry surface. 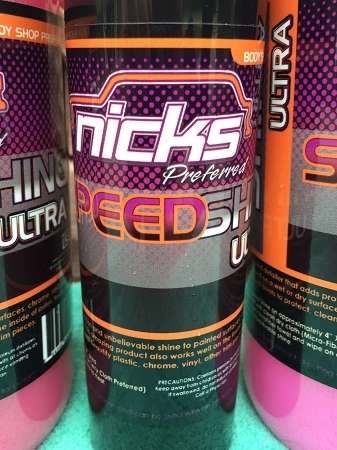 This amazing product also works well on the inside of autos, trucks, aircraft and boats to protect, clean and beautify plastic, chrome, vinyl, other trim pieces. 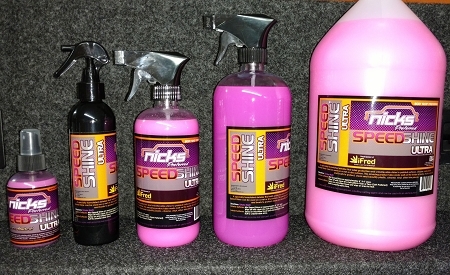 Interior Surfaces: Spray on micro-fiber towel and wipe on area to treat. 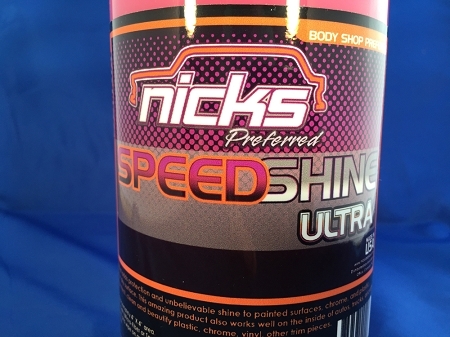 Polish to unbelievable shine. 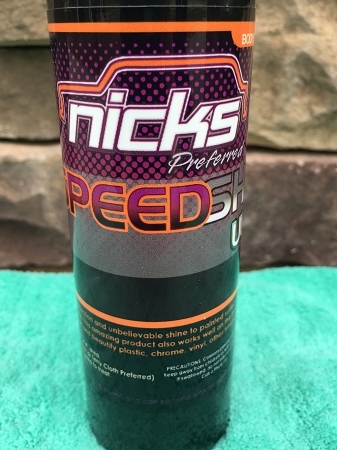 PRE-CAUTIONS: Keep away from children as with all chemicals.